I am the night. Cool batman bg. 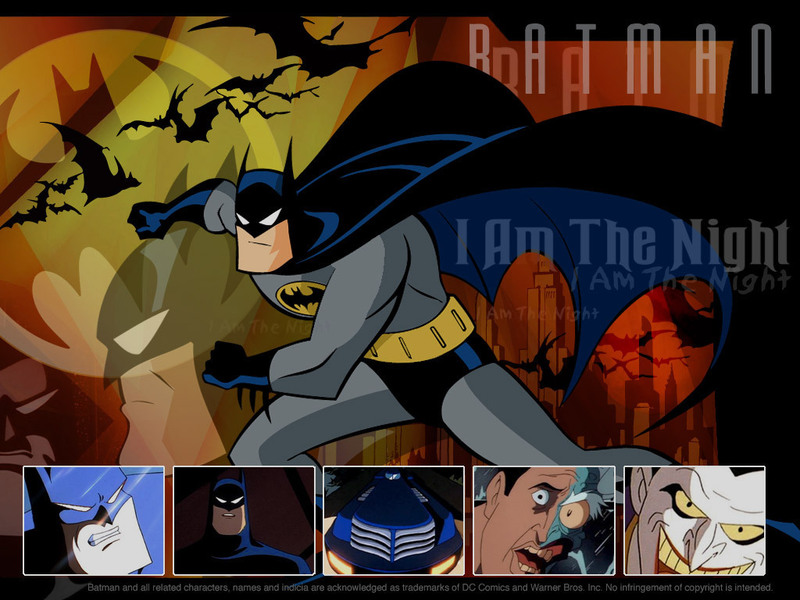 HD Wallpaper and background images in the Batman: the animated series club tagged: batman animated joker wayne bruce dvd. This Batman: the animated series wallpaper contains anime, comic book, manga, and cartoon.